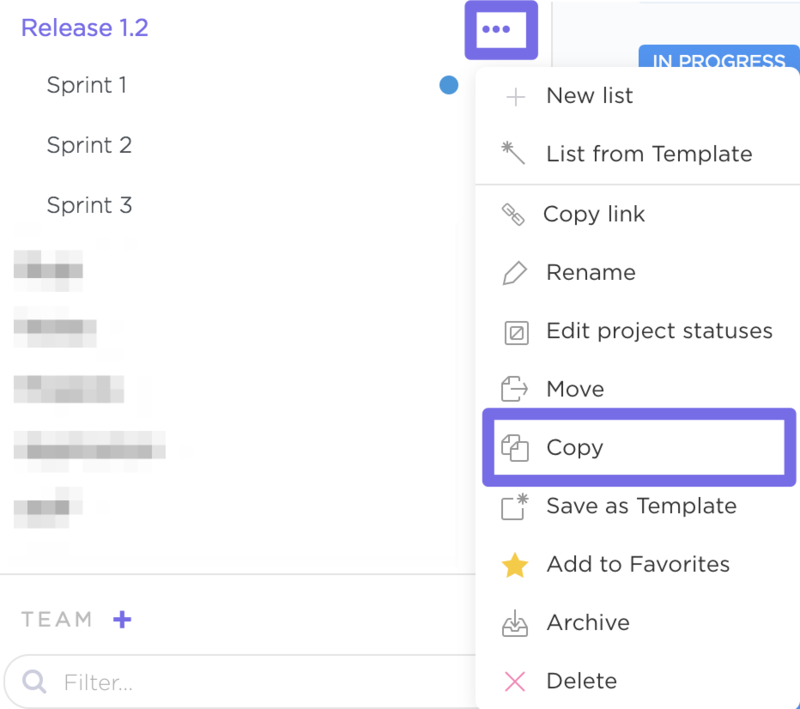 Learn how to quickly copy entire Spaces, Projects, or Lists. 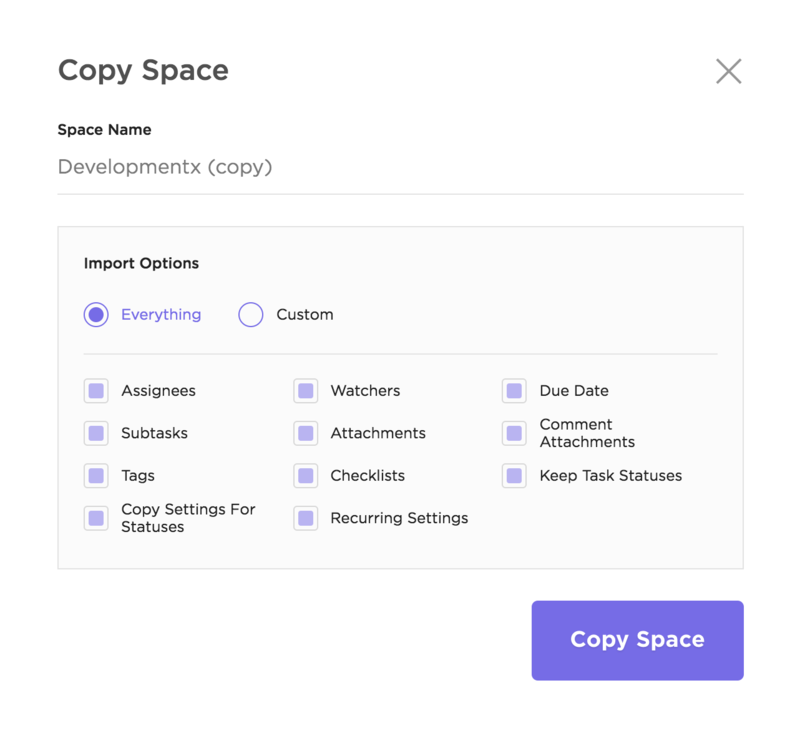 This reveals granular options for how you want to copy the Space, Project, or List. All set! Next, see how to copy a task.